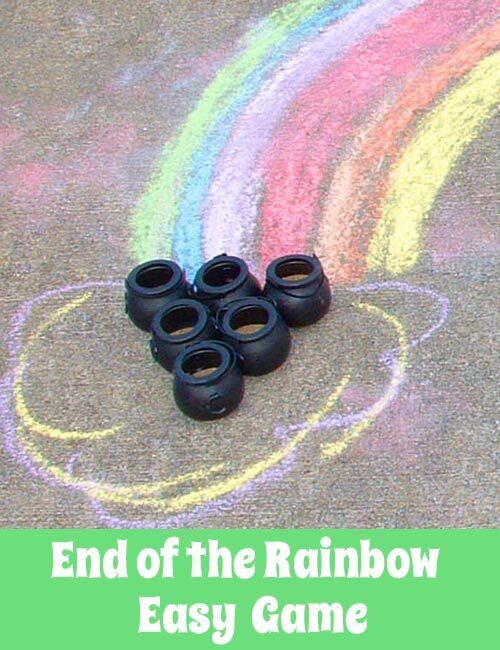 Easy Carnival Game Idea - End Of The Rainbow! Simple Supplies - Pennies, Plastic Pots & Chalk. Don't forget to Display Your Prizes! 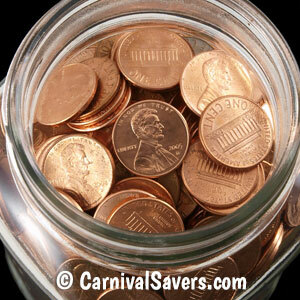 First, days before your carnival, you need to decide how you will weight the bottom of your plastic pots. 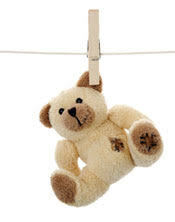 You can glue them down on a thin board, add clay to the bottom or in a pinch add an inch or so of water. 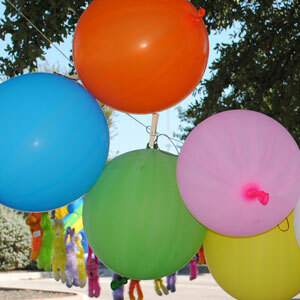 Before your carnival - you will want to have your "rainbow" ready to roll! If indoors, this can be done days ahead with butcher paper and paint (or markers) to draw a rainbow and other decorations. Note: kids will love to help you with this project, so be sure to enlist the assistance of school aged children with loads of energy! 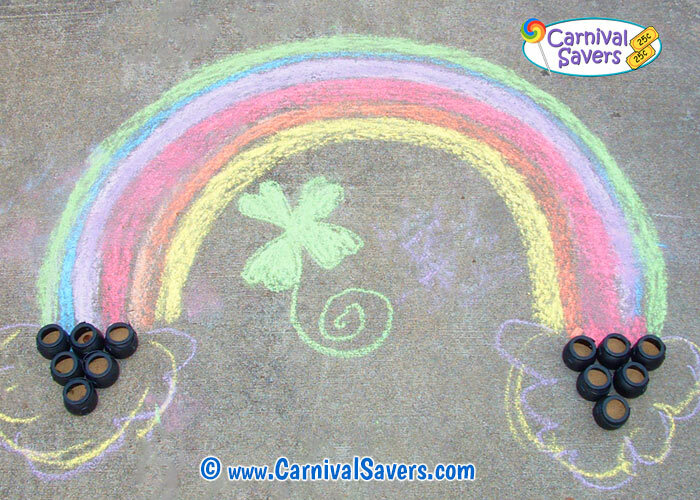 If your carnival is outdoors, of course the sidewalk chalk will be used at the last minute at the setup time before the carnival. Once again, if you ask request help from some of the children who are helping with carnival setup they will enthusiastically help with this fun task. You will set up this booth as shown in the game picture above and add a few "stand behind" lines for different age children. Set out your ticket box and sign. Finally, we always recommend that you display your prizes. Don't just keep them in an old box or in a plastic grocery store bag - grab a medium plastic pail or if your prize can be hung up on a string in-between trees and close to your booth, this is an awesome way to draw the attention of carnival players! Children stand behind line and take 3 chances to throw pennies into the pots. Note: The black pots or kettles are tiny - but kids seem to have fun with this carnival game challenge. 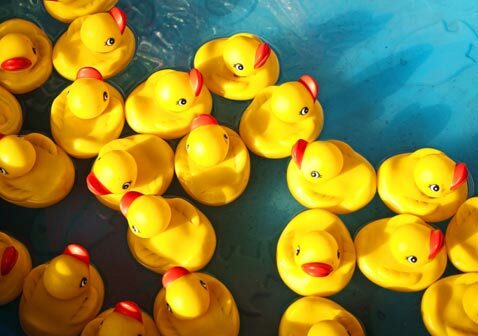 THESE CARNIVAL PRIZES are like a POT OF GOLD to KIDS!